Photo: We build a fire to try to get warm. Eastern Mojave Vegetation We build a fire to try to get warm. 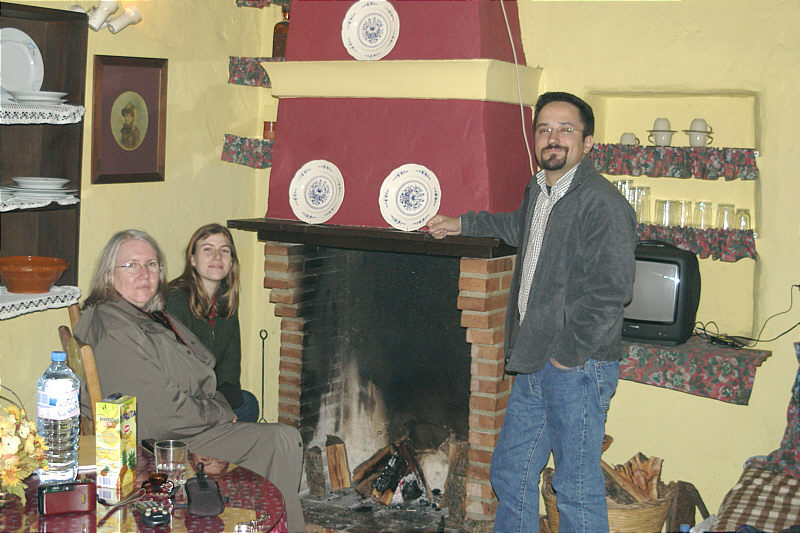 We found this cute little house through the web site of Viajes Rural Andalus. It has a combination living room, dining room, and kitchen, two bedrooms and a bathroom. But ... typical of houses in Andalucia, it has no heat. There is a fireplace and wood can be purchased for 9€ a sack, or bring your own, but definitely no heat.